I still have so many snow pictures to share. It's been just stunningly beautiful here! 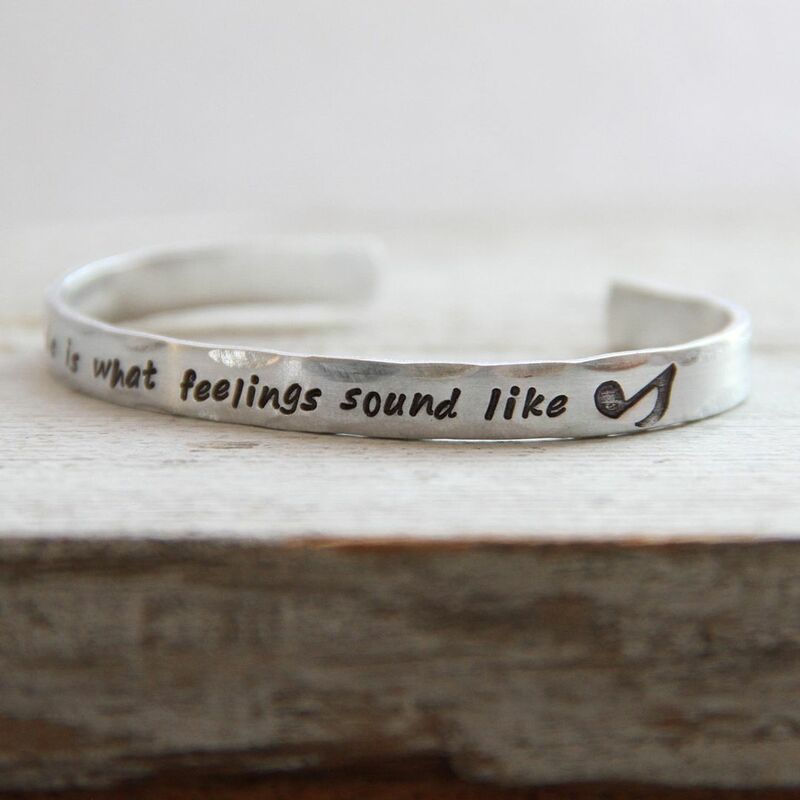 But today I wanted to share a few new jewelry designs instead. 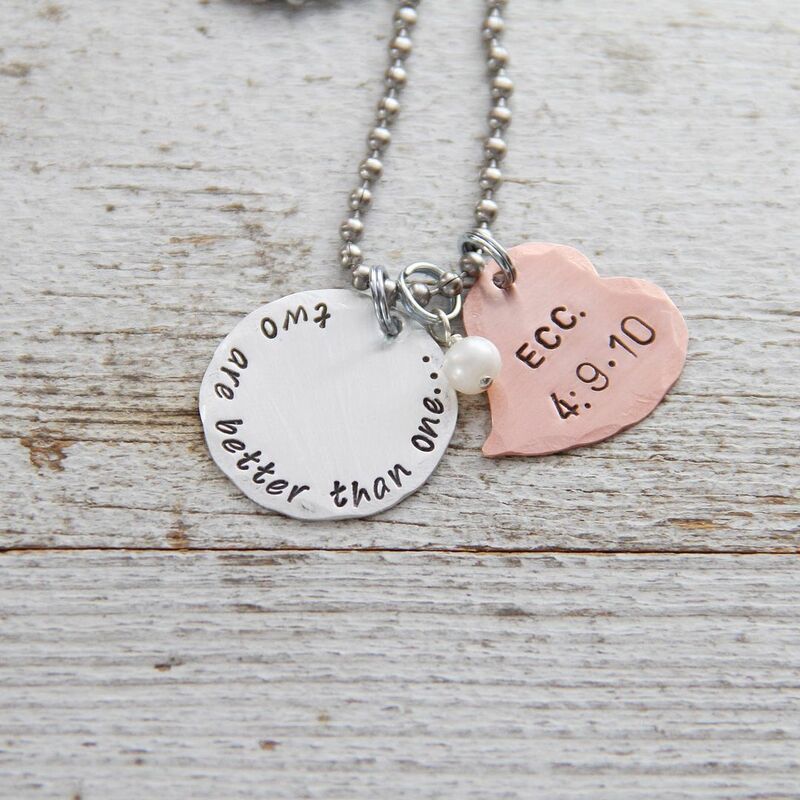 "Two Are Better Than One" necklace - This one is really special. For the month of March, we'll donate 25% of each of these to the Multiple Sclerosis Society! -MS affects more than 400,000 people in the U.S., and 2.5 million worldwide. -Symptoms range from numbness and tingling to blindness and paralysis. -MS is a disease of the central nervous system. -MS interrupts the flow of information between the brain and the body and it stops people from moving. Let's give away 3 $25 gift certificates to TheRustedChain.com! To enter, simply leave a comment below telling what your weather is like today. For additional entries: Facebook a link to this post, Tweet it, or pin one of the images to pinterest. We'll draw random winners soon!! Sunny, Cold, dry roads but snow still all over the ground! The weather is Fabulous here in the Bay Area. Early spring for sure. Chilly and rainy here in PA. Sunny and in the 40's here. Slowly melting the snow and giving all of us some hope that it's time to break this 2 year drought. It is pretty in SC. Been about 60° all day! Posted to facebook & twitter! It is gloomy and cold here in Wisconsin. Cold and an aftermath of snow! Cold, gray, snowy and, did I mention, cold? The weather is sun-shiny with mild temps of 64 degrees here in Tallahassee, FL! It's sunny with lots of snow on the ground! Cold,Suns out, wet! Snow is melting slowly! What great new pieces! Thanks for the chance! It's 32 degrees and cloudy here today. Just kind of a boring weather day! kinda blah weather here-cloudy and sorta sleeting off and on. We do have snow on the ground though-that makes me happy! Gray with rain that wants to be snow. sunny and 50s in Dallas..... beautiful new pieces! We had a very wet-heavy snowstorm, I am stuck home! Cloudy, cold, and lots of snow! Grey and cold in Indiana! Spring is comin' though! I'm not sure because I've been inside all day!! :( So far it's been breezy but nice, from what I've seen. Don't hate me but it is sunny, beautiful, and 70º here today. 37, and flurries tonight....accumulation of only an inch. I hear there is another storm headed our way early next week. I got hit by the first big Midwest storm, but missed the second one. We'll see what the third time brings! It's perfect here in Southern Cali!!! Sun, surf, and a chance of a $25 gift certificate. That's my idea of heaven!! Sunny and mid-fifties here in TX. Our weather is similar to yours...2 blizzard likes snows in the last week...out of character for Missouri in February! Today, it is just snow covered and beautiful! Western Kansas.....sunny, windy (when is it not? ), snow mostly gone. Overall, quite a lovely day. Anyway, it was very cold today. And sunny for a while too thankfully. Its chilly here. Its in the mid 50's and windy but the sun is shining! Cold, wet, and rainy and has been for about two weeks. Weirdest winter I've ever seen in SC. It was 70 and sunny in December and now it's 33 and rainy. It's in the 30s here today. Cold but so beautiful with the snow hanging on the tree limbs and evergreens. Lots better than ice!! Cold and cloudy, but the snow is melting! I'm not too far from you. There is still a ton of snow on the ground, it's cold, and it's dreary. Also gonna pin my favorite item on pinterest! It's cloudy and chilly with wet snow. In Lubbock, Texas, it is a mostly sunny day with a high of about 52 degrees. A bit breezy (but when is it NOT?). LOVE LOVE LOVE your jewelry!! Lots of SNOW, cold and cloudy. Overcast here in the PWN! Today is was chilly but sunny here in Tulsa, OK. Cold, dreary and oh did I mention cold!! LOL I'm ready for spring and sunshine. Cloudy in the 30s with snow all around but no wind. Started off with flurries at 4am, now it's just cold and gray. snow is melting:(( Still some left but it was much prettier when it was fresh and covered EVERYTHING!! hovering right at freezing, dreary, but at least nothing is coming down yet! Light shower, suns coming out ,birds are sing !!! Love ,Liked and Shared FB!!! It is cold and it was snowing earlier. It is also dark and gloomy. But it will be March 1st tomorrow so that means it will be Spring soon. The weather is snowy and cold. Perfect for catching up on some blogging! Also I pinned this on pinterest! It's very cold but sunny, and the sunlight is beautiful reflecting off the snow! 60 and sunny in Northern Cali! Today, we got some snow early in the morning and yesterday, so now we have almost two feet of snow. It's sunny and cold for Texas. It's 57 outside. Our weather is cold and windy.....nothing like the winds of the great plains.....I just wish it would snow like 6-8 inches. It is in the high 20s, almost a warm front. "Unknown" at 5:59 is me. warm and sunny in Southern California...but it would be even better if I won! It felt like early Spring here today - and right now its 56. nice sleeping weather! It was overcast today - perhaps tomorrow will bring sunshine! Love this necklace! Snow all day, but a wet snow that didn't stick. It was partly cloudy, a little drizzly and kinda chilly here in my part of Jersey today but it wasn't too bad. Our weather today was cloudy and cool. Overcast and chilly but Spring is a comin'! The weather in Little River was brisk and overcast most the day. Love your blog!!! I pinned the pretty bracelet ! It was cool and windy her in H-town! Typical weird weather down here- 80/90's one weekend- then 50/60!! Crazy!!!! My world is covered in snow right now. The weather here was sunny, but with a nippy wind. At least it wasn't snowing! Sunny and chilly, but too far south (S. Louisiana) for snow. Cloudy, snowy and very cold! Love your new designs! Cold, cloudy with a few flakes falling from the sky. I love winter in wisconsin, so beautiful. Sunny and going up to 70 today in Tucson. It snowed here last week! Loving it. Snowy and overcast over here in IL. Is it spring yet?? Weather is cool for Florida but not too bad compared to other states! At least we aren't in a blizzard! It's bright out with some snowflakes swirling around through the air. Gotta love March in Pennsylvania! Nice cool breeze in New England! Cold and snowing... AGAIN! We currently have 20 inches in some areas of Kansas City. I'm ready for it to be gone! snowy and cool. Typical in Wisconsin for early March. (-: Spring is coming! It is cloudy and rainy/snowy here! I just put it on Facebook too! I posted about it on my blog's facebook page also! Love your style of jewelry! My friend Sarah above clued me in to your post! I'm just down the highway from you guys so it's the same for me. Snowy and cloudy. I'm ready for some sunshine!!! It's warm during the day and super cold at night! Sweet giveaway! Thank You! It is cold In MIami!! I love it!! Low of 40's tonight and can't wait to light my fireplace!! Love your designs. Cold and blustery here. Sunny and cool today. It is supposed to be nice and warm the next 2 days! I can hardly wait! Cold , overcast with light snow flurries in Heflin Alabama!! It's a chilly 24 with snow here on the north eastern side of Ohio! Sunny right now but cold. It's a Missouri muddle: grey, overcast, sometimes sunny, cold becoming warm. Weather today is beautifully sunny with the overnight foggy frost sparkling like diamonds as it floats to the ground. Sooo lovely! Very sunny today, which hopefully will melt some of this snow! Winter just won't quite here in southwestern PA! The flurries are flying, and it's a nice day to read by the fire. Mostly cloudy but a touch of Spring Sunshine ever so often! Weather is improving every day! It's overcast right now, but it's supposed to get up to 73 degrees today! It's been getting steadily warmer all week. May as well enjoy it now, because they're forecasting rain next week. Poo. It's beautiful today, sunny and cool! Thanks for asking! 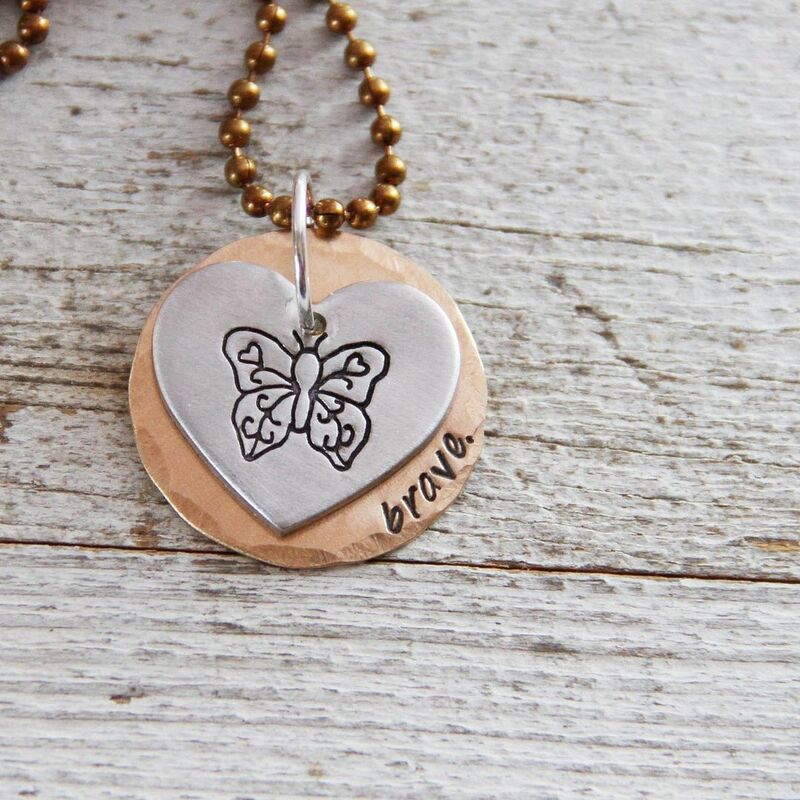 Your jewelry designs are beautiful! Thanks for this giveaway! Partly cloudy and chilly here. The weather is fantastic! Sunny! It is cold in WV today - but we don't have all the snow you do... I am thankful for that!! PS - posted on fb - tweeted and pinned!! LOL! The sun is shining, and the snow is melting. Its sunny, Breezy and 59 degrees in Central Texas! I shared the link on my facebook too! Sunny and delightful! Now it's a little cloudy. It was only 30s, but not too long ago it was -17. So it SEEMS quite nice! !